This is a handy probe for your R&D projects or for the troubleshooting of RF systems. 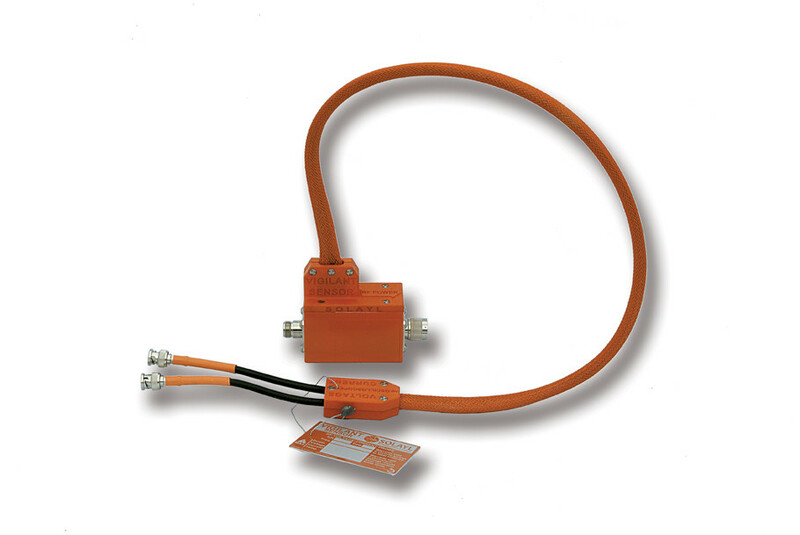 This analog vi probe can be used before or after the matching unit inside your plasma system. 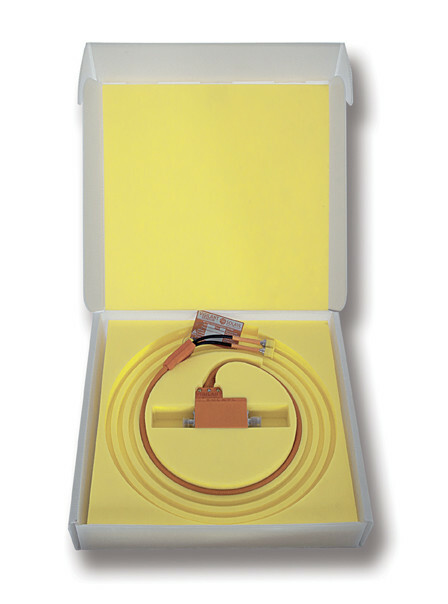 Both ports can be either equipped with standard coaxial connectors or a rod adapter to connect the probe to copper straps for easy integration into your reactor. 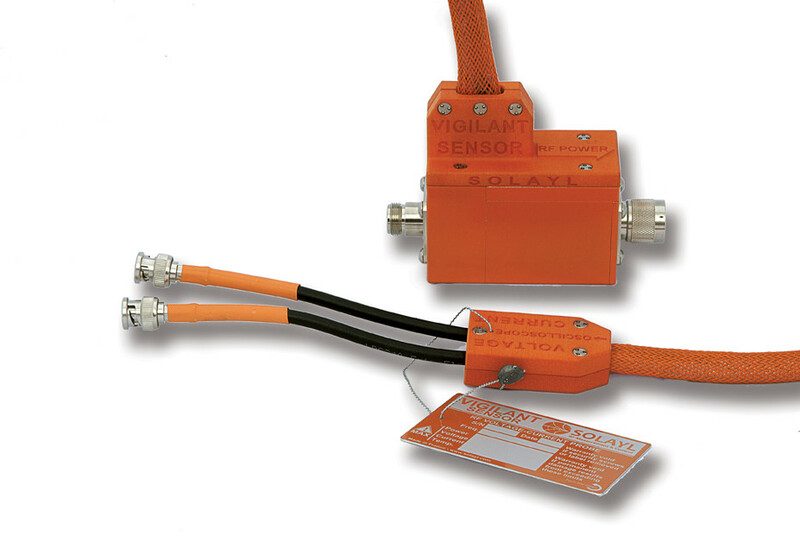 The Vigilant Sensor is available in two versions. 1) The flat frequency response version which covers the main excitation frequencies used in plasma applications (2, 4, 13.56, 27.12, 40.68, 60MHz) and their harmonics thanks to the amazing flat frequency response of its sensors. 2) The derivative response version which provides a sensitivity that increases linearly with the frequency. It is therefore suitable for a plasma reactor excited at a single frequency (with a low level of harmonics or for VHF discharges). The flat frequency response version is more complex to manufacture and therefore more expensive than the derivative response version. Consult us to decide which version to choose. The probe uses two innovative sensors to achieve accurate simultaneous measurements of both the voltage and current waveforms without significant distortions and with a minimum perturbation. It delivers two analogs signals optimized for analysis by your test instrument (oscilloscope, spectrum analyzer). The graph on the left shows the voltage and current waveforms measured with an oscilloscope with the flat frequency response version. The probe output is connected to a 50-ohm attenuator load while excited with a complex RF voltage waveform full of harmonics as typically met in plasma processes. The fundamental frequency is 13.56MHz. The voltage and current waveforms are identical and in phase as expected with a pure resistive load. They are also well superposed with the waveform measured at the output of the wideband attenuator (serving as the reference). - Customizable high performance electrical sensors: wideband flat or derivative response, robust, low-perturbative and compact voltage and current sensors developed through extensive experimental work and electromagnetic modeling. The settings of these sensors are customized during calibration to maximize performance for your application (maximized sensitivity and power rating while minimizing the perturbation). - Automated highly accurate calibration process to ensure the best measurement accuracy and probe-to-probe repeatability. Our calibration process is NIST-traceable and uses the best electronic test instruments available today in a temperature and EMI controlled environment. Each probe is provided with its own certificate of calibration. The calibration is performed with the non-detachable signal cable. The sensitivity of the voltage and current sensors are customized separately during production to fit your needs (low to high power applications). The possible sensitivities are shown below for the flat frequency response version. Probe with a flat frequency response for which the voltage attenuation is 1000X and the current sensor sensitivity is100mV/A between 2 and 100MHz. The probe is equipped with N-type connectors on both ports (female at input / male at output). Probe with a derivative frequency response for which the voltage attenuation is 500X and the current sensor sensitivity is 100mV/A at 40.68MHz. The probe is equipped with 7/16 DIN connectors on both ports (male at input / female at output).